It’s been a while since I posted. Mostly because it has been really cold and busy in the duckpond over the last month or so. In February, I had two snow days and had to shovel out my driveway about five times in those two days. I have also been busy with non-house projects, including sewing, crafting and working on a routine and costume for my first burlesque routine I am doing in April. Whew! Amongst all the snow and cold, I have been starting to get ready for the growing season here. According to the Farmer’s Almanac, my area of Maryland has a 200-day growing season. So lots that can be done! Although the last frost according to this source is not until April 11, I am starting to get stuff ready, including infrastructure improvements and seed-starting. On Tuesday, I started some herb seeds- garlic chives, thyme, mustard, dill, chives, cilantro, oregano, parsley, savory and basil. I used a seed-starting greenhouse I picked up at Big Lots for $4.00 and some Miracle Grow seed starter, which i got for $5. I plan to plant all the herbs in a pallet planter in the room off the back of my kitchen, so I can have access to fresh herbs whenever I need them, and don’t have to necessarily put on pants to get them out of the garden. 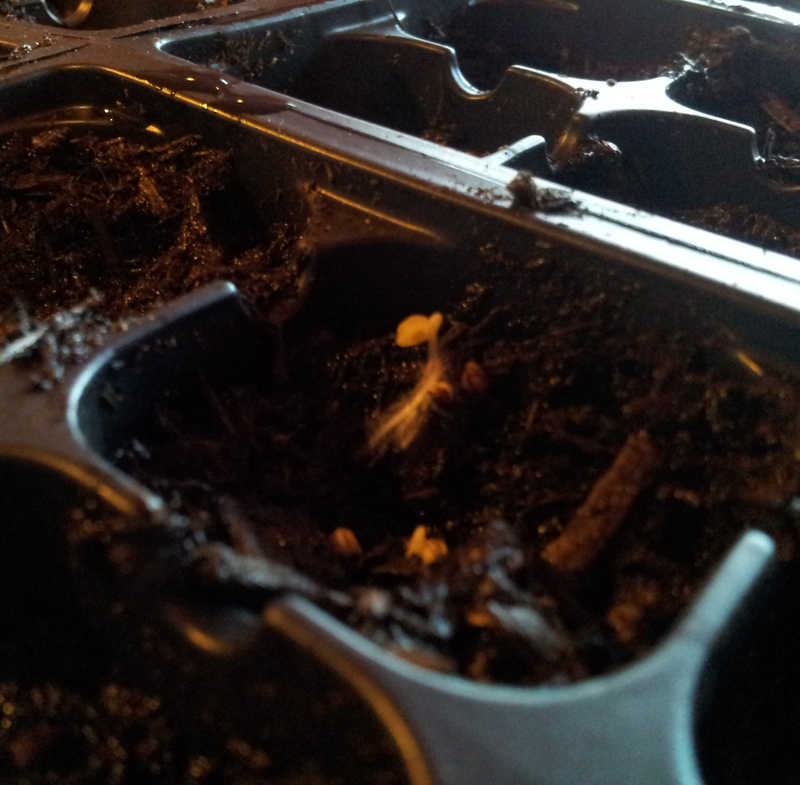 I already have sprouts on the mustard! I also started roma tomatoes and sugar snap peas on Wednesday in the same tray since I had some extra space. I realized after i planted them that the peas are direct-sew, but hopefully by the time they sprout I can move them somewhere to grow permanently. If not, I have more seeds. I am still deciding on plants for my garden. 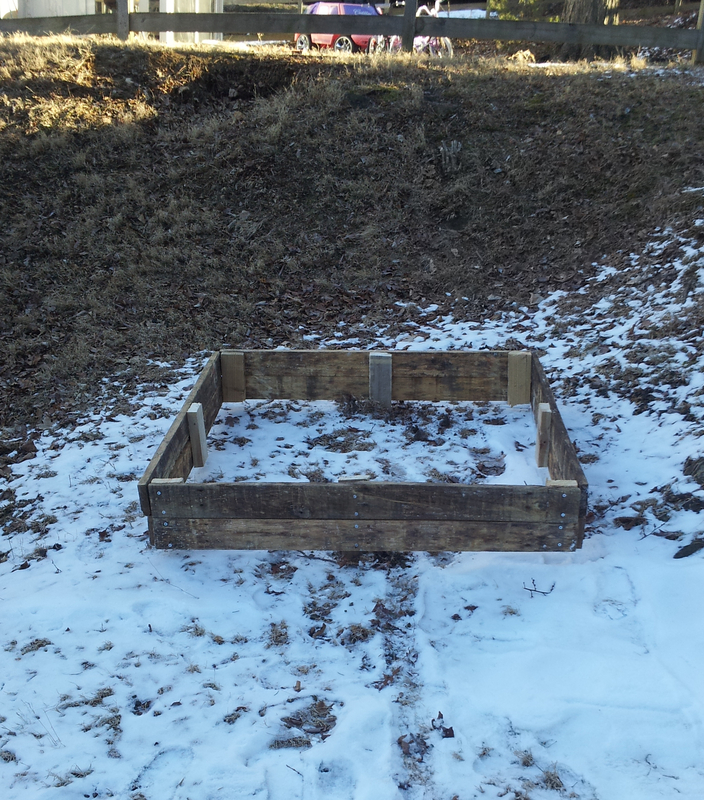 I am planning to use the Square Foot Gardening method to plan out my plots, and use 4’x4′ raised beds. I want all edibles, and I also want to plant some sunchokes in a side plot, since I read they become weed-like. (Weed-like but yummy, still yummy). So what is a crafty woman going to do? Build her own raised beds! Pre-packaged ones are so expensive, so I got a friend to get me some pallets and I got to work. Disassemble your pallet: This can be a challenge, especially if you try to pry off the slats. I would highly recommend a reciprocating saw for this, with a blade meant to saw through wood and nails. That way, you simply cut through the nails to separate the slats. Determine the size of your bed: Since I am using the Square Foot Gardening method, I wanted something, um, square. Since my pallet slats were already 48″ long, I stuck with that. 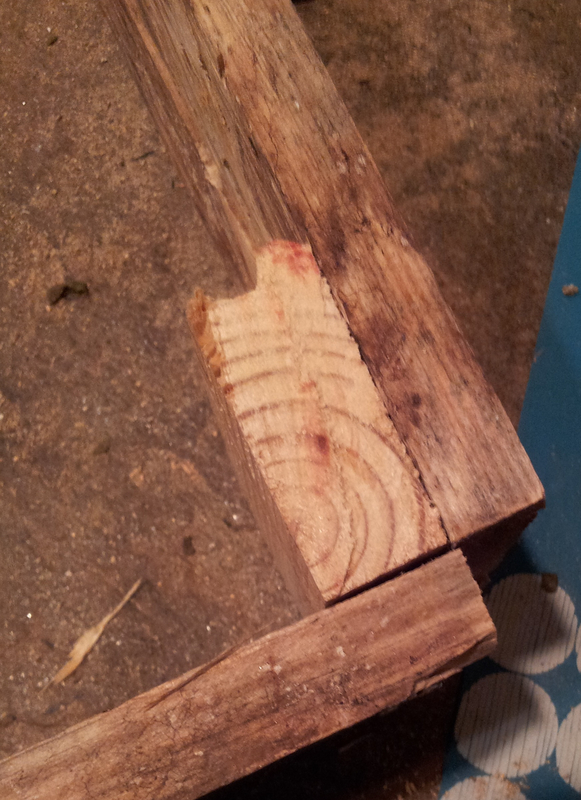 If you want a smaller bed, use a hand saw to cut the slats down to size. I also wanted a high bed, so I decided to make the bed two slats high. Cut your support beams: The inside support beams of the pallet were 2x4s, so I cut them down to use as support for the slats and to use in the corners of my bed. Since each side of the bed was going to be two slats tall and each slat was 4″ tall, I cut four 8″ tall pieces from the 2x4s. These go on the ends. For the supports in the middle of the slats, I added a few inches and cut 11″ tall pieces so there was something to hold the bed in the ground. I then laid the support beams down, put the slats on top of them and drilled holes where I wanted my screws to go, then screwed in the screws. Repeat, but not quite: Once you got two sides done with all three support beams, make two sides with just the middle support beam. 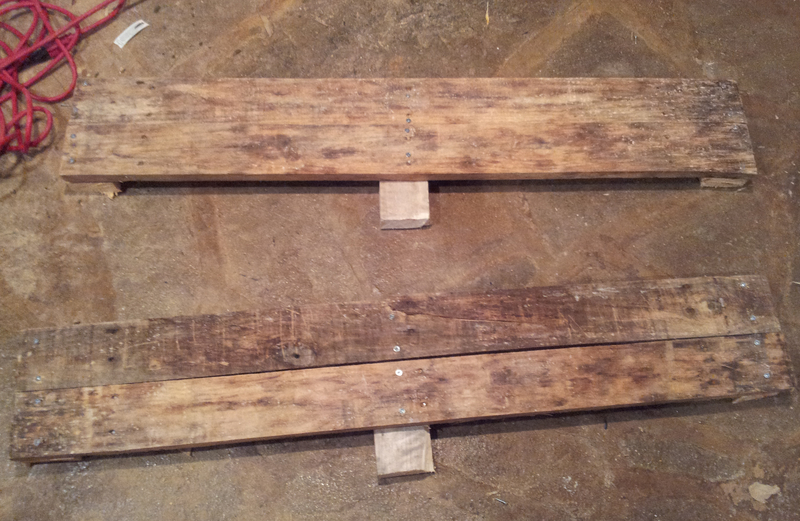 I did not make my middle beam 11″ tall for these, which I will correct for future beds I make using this method. You are going to screw these two sides into the 2x4s already connected to the other two sides. Make sense? Go Screw: Once you line up the slats, drill your holes and screw it all together. Make sure that the slats are even by pressing down on the ends to line them up with the floor. Enjoy your success: I finished the bed last night, and dragged it outside this morning. Since it is still February despite how much I want it to be spring, the ground was too hard to pound the support stakes into the ground. For now, it will just sit in my yard and wait for me to make some other boxes to keep it company.